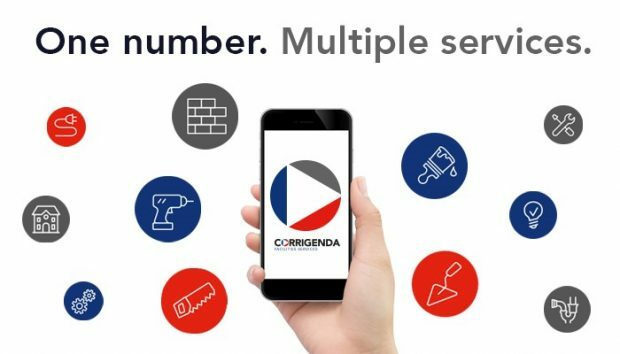 Corrigenda is pleased to announce the launch of its newly formed building fabric division. Our new division complements our established mechanical and electrical teams to provide roofing, brickwork, carpentry/joinery, plastering, decorating and groundworks, with a compliment of specialist services such as drainage, suspended ceilings and flooring. After extensive research we established our customers required a true One Stop Service where any and all aspects of building, electrical and mechanical works can be both diagnosed and solved. A service where knowledge and solutions are paramount, extensive, competitive and available but all at the availability of one call to a Helpdesk Team dedicated to all the departments, directing and controlling works under one banner from boiler breakdown to power outage to roof leaks to decorating. We believe this dedicated One Stop Service will be unique to our customers and will provide comfort and reliability of company designed to manage all aspects of work within one centre. Negotiation and Open Book Format.